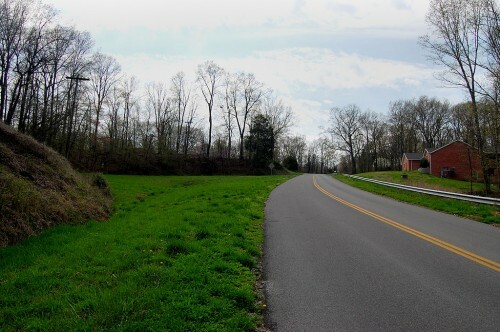 Negotiating the sharp turns and steep grades of Snake Hill was a rite of passage from the time it was built in the 1930 until 2003. The Cape Special Road District decided to fill in a ravine and straighten out a sharp curve in the road to make the road safer and to make road maintenance easier. I can see where the less twisty road would be easier to deal with when it’s icy, but I would bet that speeds are a lot higher on the new road than the old one. In the early 80’s Cape had an overnight snow storm and I tried going up Snake Hill in my Toyota Corolla. I was headed for work and thought I could make the hill without any problem. Well………needless to say, I got to the top of the hill and couldn’t make the curve and slid back down almost to the bottom. My car skidded off to the left side, fortunately into the left side of the embankment. (Thank the Lord it wasn’t the right side.) Luckily the road crew came by and pulled me out. It is called not thinking it through…. When my niece and nephew twins were small (about 28 years ago) they would come to visit from Florida, they would always want to go to Snake Hill. They would always ask where was the big snake? Snake Hill’s challenge for me was trying to make it all the way to the top with out having to down shift from 3rd gear in my first car – a 1948 Chevy Fleetline that I bought for $100.00 in the summer of 1958 when I was 16. It lost it challenge when I bought a 1951 Ford in 1959 for $300.00 – it would breeze right up Snake Hill with out a down shift or emitting any engine knock on the low octane cheap gas of the day. 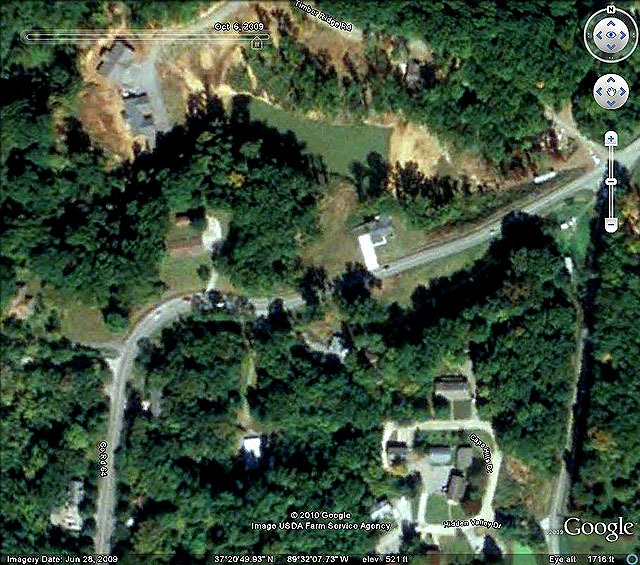 My freinds and I would take time runs going up snake hill. I had 1962 Volkswagen beetle and I must say it made good time, 30-40 seconds to reach the top. Yes, it was the days of reckless abandond, and I guess I was lucku not to get hurt! My dad worked at the time at Cape Mattress Co. at the bottom of snake hill in the late 50’s. When four of us boys desided to ride our bikes out to his place. We were rideing our bikes with good speed down the hill until someone desided to take to the hill side. He missed staying on the road and demolished his bike on the second curve going down. He hit that hill stright on. We toted his bike down to my dad’s car so it could be taken home with the rider. Lucky the guy was not hurt except for some bruses and a limp because he went one way and his bike went another, flying some distance from where his bike landed. As I recall, there is where is I lost a friend: Jimmy Williams. He was a year younger than me. Jimmy just got a small motorscooter and he was taking it out for a spin and was going around snake hill and lost control and landed in the brook. He was 16 as I recall. I didn’t recall that crash. The Missourian had a long article on it at this link. Like you said, he was taking his new motor scooter out for a test ride when something went wrong. The story said there could have been several reasons why the crash occurred. Thanks for the link. So, did you drive up Snake Hill to shoot that weather photo or did you walk up it? I parked at the top and walked down. Amazing that the drivers were in their cars with the engines running to keep warm. Then the residents of the area came walking down the hill. A wrecker eventually came to help them. 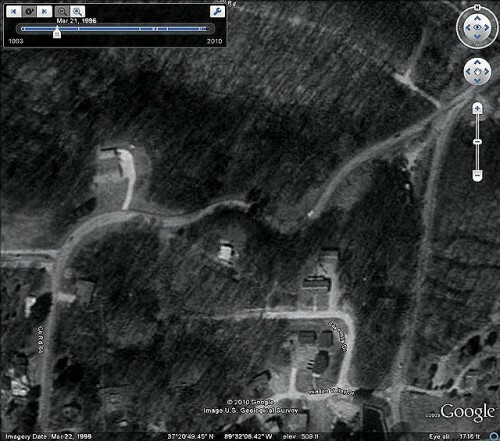 When we moved to north Georgia, I found all the roads to resemble Snake Hill. Having lived in Flat Florida for 42 years, I cringed at these hills around here. Now, I can drive them so comfortably that I scare the crap out of my sister. She won’t get in the car until I have it turned around in our driveway and pointing down to the road. I tried to skateboard down the hill in the 60’s. I still have a scar on my knee to prove it. I live just down the road from Snake Hill. It’s a landmark heavily used when giving directions out this way. I talked to one of the Cape Special Road District workers during the “Improvements” and asked if he was getting any feedback from passer-bys. He said he was regularly getting cursed and berated for the work he was doing. A few had positive comments but the vast majority were negative. People don’t accept channge very well and this is like tearing down an historical building to this area’s residents. Snake Hill no longer looks like a snake.